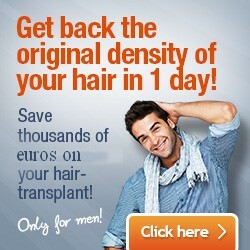 No more putting off your hair transplant because of over the top prices! Have your hair transplant done abroad in a hair clinic in Budapest, Hungary at just a fraction of the cost of a hair transplant in any other Western European country! Hair transplants abroad and hair transplant tourism have become particularly popular thanks to the high-quality medical care and state-of-the-art technology available in Hungary. With patients going to Hungary from all over Europe, Hungary is already a popular destination for dental tourism, and now many hair transplant and hair restoration clinics have opened their doors to foreign patients as well. Compared to the United Kingdom for example, the costs of even the most technologically advanced hair transplant procedures (e.g. FUE SafeSystem or FUE2) are 60-70% cheaper in Hungary. Hair transplant clinics in Hungary offer the same minimally invasive hair transplant procedures and technologies that are available in any EU country. You will get high-standard medical care and assistance. Doctors and medical staff in Hungary are highly trained professionals. Language barriers are not an issue – hair clinics that advertise their services to foreign customers do speak English, but other EU languages as well including French, German or Spanish. You can get cheap flights to Budapest and be there in just a few hours from most European countries. Accommodation in Budapest is also very affordable. Reputable hair clinics will take care of your hotel reservation, airport transfer and transfer between the hair clinic and your hotel. While you’re in Hungary you can visit Budapest and have yourself a nice little vacation as well. You can visit the city and relax in one of its many thermal spas. Your overall costs of getting a hair transplant in Budapest will still be lower than getting one in your country of residence. 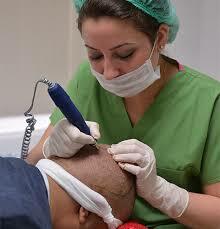 Does the hair clinic use the latest technology in hair transplant? Do they employ certified hair transplant surgeons? Do they provide sufficient and satisfactory information about the costs of the procedures they use? Is there a possibility to get a personalised quote for the hair treatment that you are seeking? Does the hair clinic come highly recommended by former patients? The answers to many of these questions can be found on the hair clinic’s website, but you can also read reviews, or you can simply get in touch with the hair clinic and ask for these kinds of information directly. Once you’ve determined which hair clinic in Budapest suits you best, you can look forward to the hair transplant procedure itself and also spending some time in Budapest. Consider your hair transplant abroad a small vacation that will restore your hair’s former glory.